Deep in our nasal passages lie 2 olfactory patches consisting of a combined 5 to 6 million olfactory receptors. Although this number pales in comparison with a dog or rabbit, which respectively possess about 250 million and 100 million such receptors, our human sense of smell is profound and discriminating. We, humans, can still sniff out thousands of different scents at minute concentrations (think one part scent to several billion parts air!). Moreover, as many of you can probably attest to, scents often trigger emotional reactions, which, from a physiology perspective, makes sense (excuse the pun) because olfactory receptors are connected with the limbic system. The limbic system is an ancient part of our brain which helps regulate emotion, memory and more. Although the sense of smell peaks at about 8 years of age and typically declines somewhat through senescence, many healthy older adults are able to smell just as well as younger folks. In fact, our sense of smell is associated with both physical and mental well-being, and people with schizophrenia, migraines, depression, and severe anorexia fare worse on objective tests of smell. For some time, researchers have been interested in examining whether aromatherapy proffers health benefits. Although much more research needs to be done, limited evidence indicates that aromatherapy may confer some mental health benefits. Volatile essential oils used with aromatherapy are extracted from plants. These essential oils can be applied topically, aerosolized or used during the massage. Furthermore, these oils can be absorbed through the skin or olfactory system. A quick search on Amazon yields various aromatherapy diffusers and oils produced by different manufacturers. Some researchers hypothesize that aromatherapy works to alleviate stress by decreasing sympathetic nervous ("fight or flight") activity and increasing parasympathetic activity. Such effects would result in a more relaxed tone--lower blood pressure, slower heartbeat and so forth. It should be noted that this hypothesis has never been proven in any scientific or objective sense. One particularly active area of aromatherapy research focuses on those with dementia. Unfortunately, current drugs used to treat dementia like Aricept, Namenda and so forth do very little except cost money. Moreover, people with dementia often have trouble communicating adverse reactions to drugs. Thus, a noninvasive complementary treatment option with no adverse effects like aromatherapy is attractive. Please note that nobody believes that aromatherapy will somehow miraculously reverse dementia or otherwise hasten its progression. Rather, some clinicians hope that sweet scent may help with some of the behavioral and psychological effects of dementia like depressed mood or agitation. To some of you, it may come as no surprise that the research on aromatherapy is shoddy. Specifically, studies are burdened by poor design and all kinds of bias. Moreover, systematic reviews on the subject often discover statistically insignificant results. Nevertheless, I'll go ahead and present some cherry-picked results. One recent systematic review looked at 16 randomized control trials and concluded that aromatherapy helped with anxiety. More specifically, another systematic review examined 13 randomized control trials and found that lavender oils may help a little with anxiety. One singular facet of a 2014 Cochrane review titled "Aromatherapy for dementia" suggested that aromatherapy might help with associated agitation. Several medical textbooks suggest that aromatherapy may help with stress. One systematic review examined 6 studies and concluded that aromatherapy may help with depression. Like many others, I sincerely desire that aromatherapy may provide some benefit to those in anguish, pain or suffering. Efficacious treatment that requires no pharmacology or cold surgical steel is a commodity in our invasive-obsessed healthcare milieu (which is why with "Medical Treatments" I do my best to focus on lifestyle modification, psychotherapy, osteopathic manipulative treatment, and complementary and alternative medicine). However, it currently appears that if aromatherapy were effective with respect to depressed mood, anxiety, agitation and so forth, such benefits would be limited at best. Sorry, guys. On the bright side, however, there's still a lot we don't know about aromatherapy. The research that does exist on the subject is scant. Furthermore, from an anecdotal perspective, aromas are a powerful force. Ever catch a whiff of cologne and think of an old boyfriend? Ever smell chocolate chip cookies and think of dear old mom? Ever smell mothballs and think of dear old grandma? Ever smell exploding aerosol cans and think of that time you burned half the garage down? 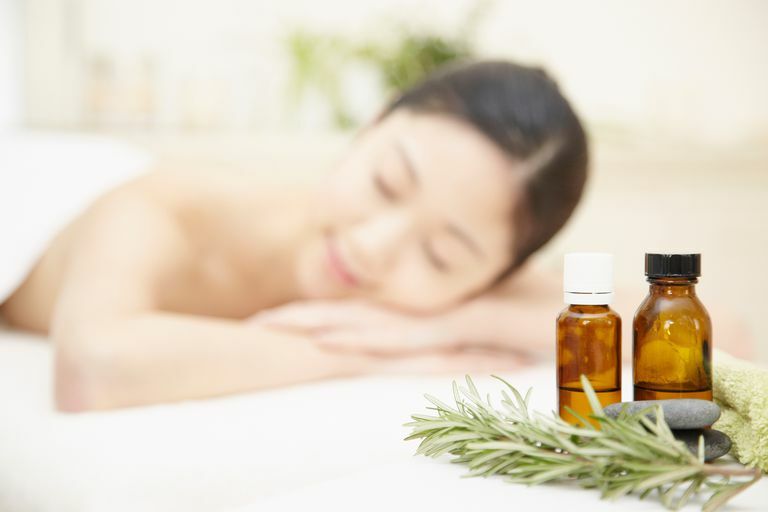 Overall, for many, aromatherapy is an inexpensive, luxuriant, pleasant pick-me-up. It's a complementary treatment which may help not only you unwind after a long day at the office, but also somebody in a palliative or end-of-life care situation. There's a good reason why researchers are interested in aromatherapy's potential benefit for those with conditions like dementia or terminal cancer. Sometimes, at the end of life, even the smallest comforts can make a world of difference whether it be a favorite rom-com, a warm blanket, a visit from a long-lost relative, or the scent of vanilla. An article titled "The Effectiveness of Interventions Aimed at Reducing Anxiety in Health Care Waiting Spaces: A Systematic Review of Randomized and Nonrandomized Trials" by E. Biddiss and co-authors from Education, Economics, and Policy published in 2014. Cochrane review titled "Aromatherapy for dementia" by LT Forrester and co-authors published in 2014. An article titled "Aromatherapy for stress reduction in healthy adults: a systematic review and meta-analysis of randomized clinical trials" by MH Hur and co-authors published in Maturitas in 2014. Little MO, Morley JE. Considering Complementary & Alternative Medicines for Older Adults. In: Williams BA, Chang A, Ahalt C, Chen H, Conant R, Landefeld C, Ritchie C, Yukawa M. eds. Current Diagnosis & Treatment: Geriatrics, Second Edition. New York, NY: McGraw-Hill; 2014. Can the Poria Mushroom Strengthen Your Immune System?